Well, the weather here Portland isn’t exactly get-out-in-the-garden weather, but that’s no reason to not continue on our virtual garden tour of Kew Gardens situated just a short Tube hop away from the heart of London. The previous two weeks, we’ve roamed around Kew’s Palm House and the other glass houses that are pretty impressive, but the whole point of going to a botanical garden is usually to get outside and look at some plants. 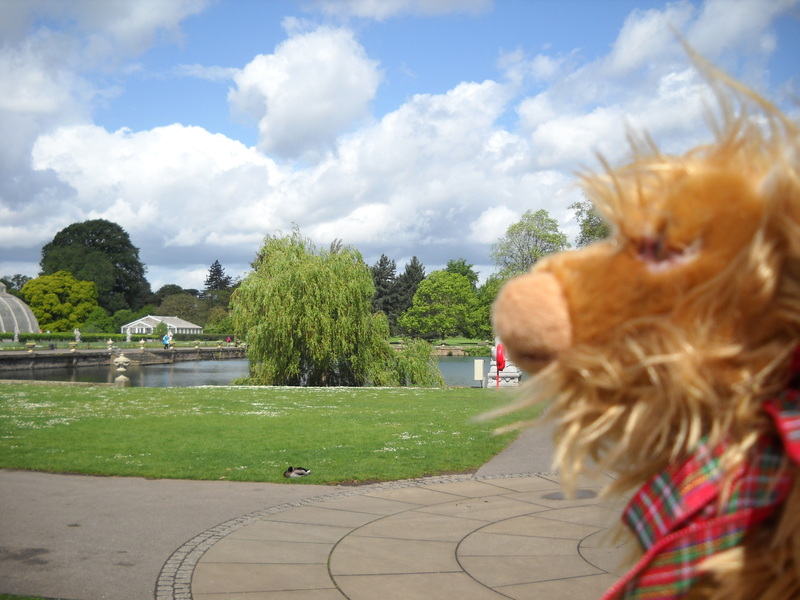 So this time, we’re getting outside and roaming the grounds of Kew Garden. There are dozens of theme gardens within Kew Gardens, and even with a whole day there, I didn’t see all of them, so there’s no way I’m going to try to cover everything in what is meant to be a quick blog post. 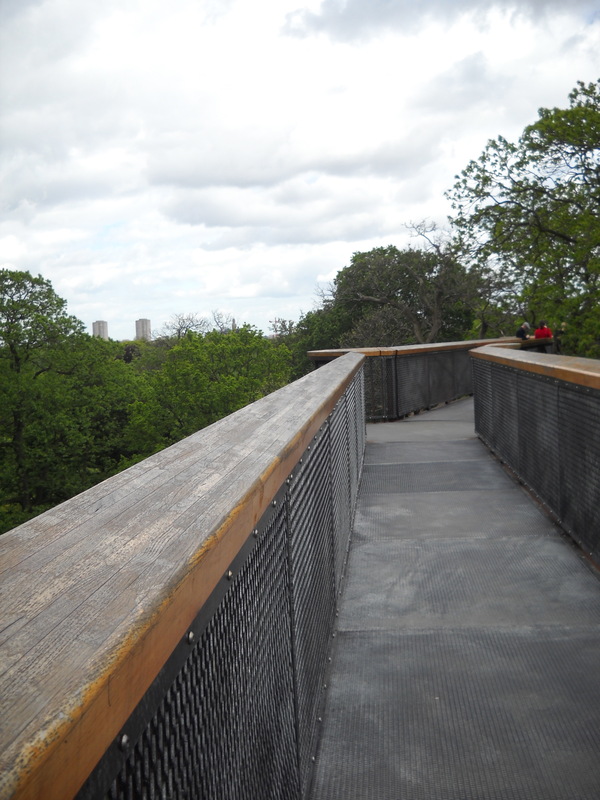 Instead, let’s just look at some quick facts and then climb up to one of the garden’s newest features: The Treetop Walkway. Some gardens have a natural look, others are quite formal. Kew has been a UNESCO World Heritage Site since 2003. Two hundred scientists have the lucky job of working at Kew studying the chemistry and physiology of plants. I would gladly reconsider a return o working in science if I could nab one of those jobs! There’s also hundreds other folks tending the gardens, which wouldn’t be a bad gig either. 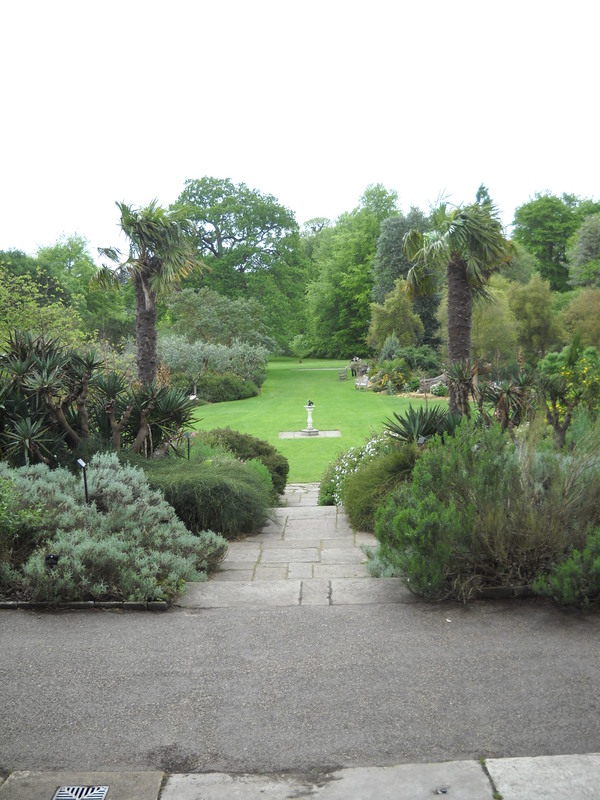 Kew Gardens is thought to have the world’s largest botanical collection. The gardens contain over 30,000 plants including 14,000 trees – some that are older than the garden itself. The oldest tree is a sweet chestnut from the early 1700s that is thought to have been part of the woodland that once divided the Richmond and Kew grounds. Around this same time (1762) a 50-meter (163-foot) tall pagoda was built on Kew’s grounds as part of the current craze for all things Chinese. Few English had never encountered a building like this (both shape and height) and more than one bet was placed on how long the weird thing would remain standing. There is a bad luck tree in the gardens. It’s a Corsican pine that not only has been struck by lightning twice, but also had a small plane crash into it. It’s a good idea not to linger too long near this tree. 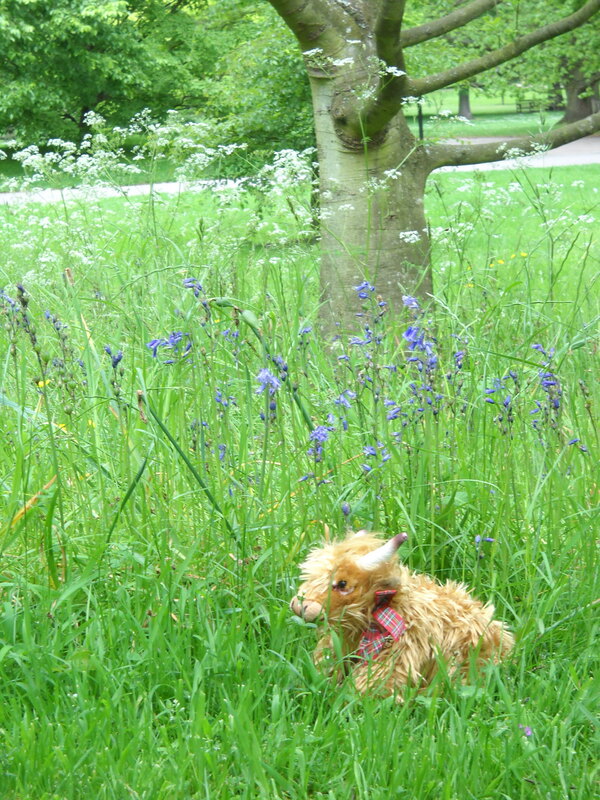 You may encounter a hairy coo loitering under a tree. Hopefully, not an unlucky one. 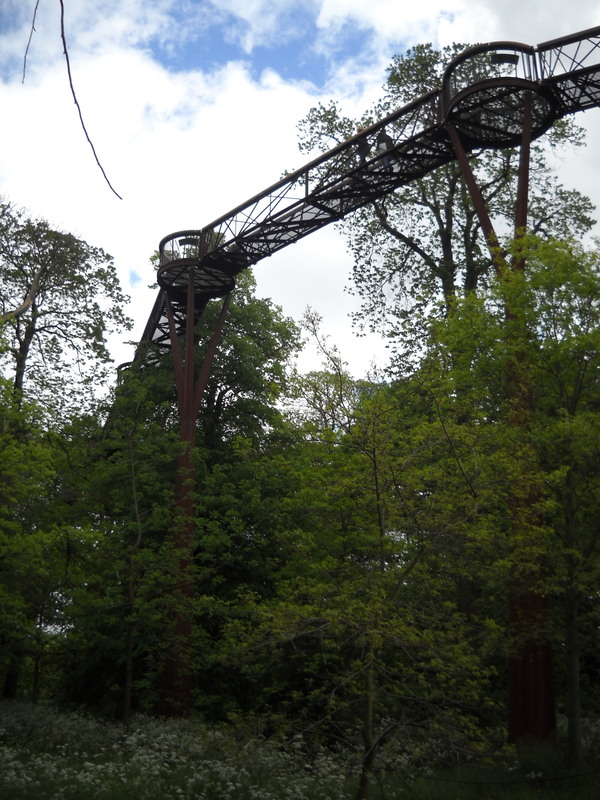 If you want to see the trees of Kew from a different perspective, toss aside your fear of heights and head up to the Treetop Walkway. Time to burn off those scones! The walkway is 18 meters above the ground and much of the “path” is grating that you can see through. Seriously, if you are afraid of heights, do not go up. The walkway is a 200-meter long loop and was designed by the same guy who designed the London Eye (also not the best for folks afraid of heights…I’m thinking this guy might have a cruel streak to him). If you are afraid of heights, go underground. Part of this feature takes you to an exhibit that shows off what goes on around the roots of a tree – it’s also a good spot to wait out a passing shower. 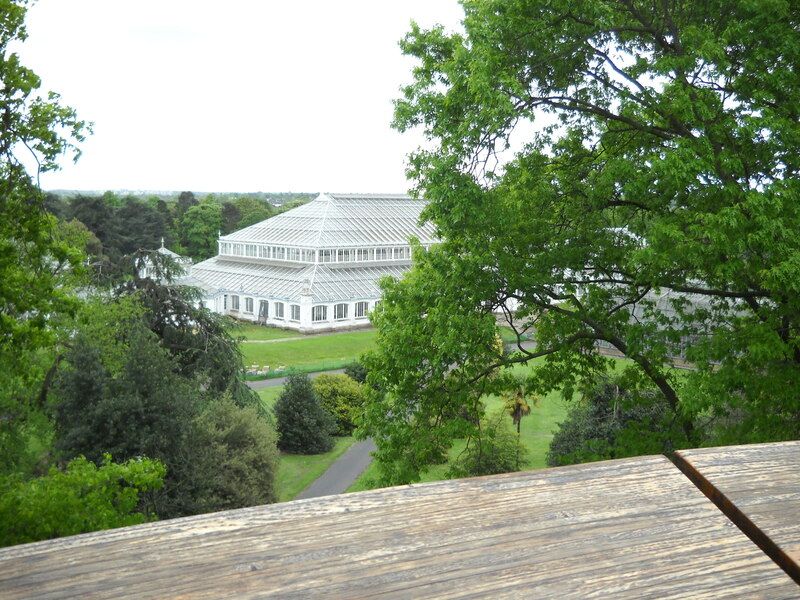 The Temperate House from the Treetop Walkway. There’s one more stop at Kew Gardens I want to share with you, but I’ll save that for next week. See you then! A coo safely admiring the view from ground level. You can find out more about Kew and see loads of pictures at the garden’s official website. TAMMIE PAINTER IS THE AUTHOR OF THE TRIALS OF HERCULES: BOOK ONE OF THE OSTERIA CHRONICLES AND AN ARTIST WHO DEDICATES HERSELF TO THE TEDIUM OF CREATING IMAGES WITH COLORED PENCIL. YOU CAN FIND HER WORK AT TAMMIE PAINTER’S BOOKSTORE & GALLERY. Previous Post Colored Pencils? Aren’t Those for Kids? What a very cool post. Mine was nowhere near as detailed ha. I’m glad you enjoyed it. I’m considering living there…do you think if I dress like a gnome they’ll let me reside in the gardens?